Currently consisting of 90 species, the order Cetacea contains some of the most diverse, intelligent, and elusive animals on the planet. Highly migratory, the huge distances they cover and the depths they dive mean we catch only the merest glimpse of their lives. Technological advances have, however, increased our understanding, and for the first time, this book gathers together all the most interesting new research to offer detailed profiles of each species, alongside the information needed to identify them. 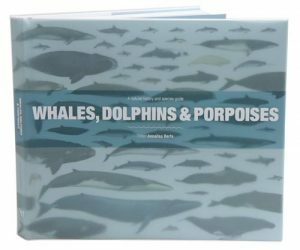 This title combines highlights from the latest scholarly studies of the nature and behaviour of the world’s whales, dolphins, and porpoises, with a hardworking field guide for use in observing these animals in the wild. Beautifully illustrated, and highly accessible, this book will become a favourite of naturalists and professionals alike. Artist/Author: Whitehead, Hal and Luke Rendell. There are many clear examples of the transmission of information among cetaceans, such as the songs and bubble feeding of humpback whales; young killer whales learning to knock a seal from an ice floe in the same way their mother does; and the use of sea sponges by the dolphins of Shark Bay, Australia, to protect their beaks while foraging for fish. Just as human cultures pass on languages, tastes in food and modes of dress, could whales and dolphins have developed a culture of their very own? Unequivocally: yes. In this book, cetacean biologists Hal Whitehead and Luke Rendell, open an astounding porthole onto the fascinating culture beneath the waves. 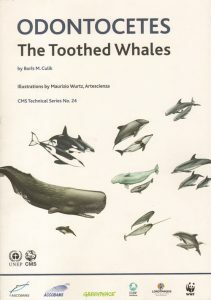 They show how cetacean culture and its transmission are shaped by a blend of adaptations, innate sociality, and the unique environment in which whales and dolphins live: a watery world in which a hundred-and-fifty-ton blue whale can move with utter grace, and where the vertical expanse is as vital, and almost as vast, as the horizontal. 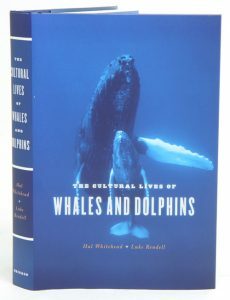 Drawing on their own research as well as a scientific literature as immense as the sea – including evolutionary biology, animal behavior, ecology, anthropology, psychology, and neuroscience – Whitehead and Rendell dive into realms both humbling and enlightening as they seek to define what cetacean culture is, why it exists, and what it means for the future of whales and dolphins. And ultimately, what it means for our future, as well. Celebrated, revered, studied and increasingly watched for pleasure rather than hunted, whales hold particular allure. Humans have always been in awe of them, but for much of history we have been compelled to dominate and kill. This book tells the rich history of whales and whaling. 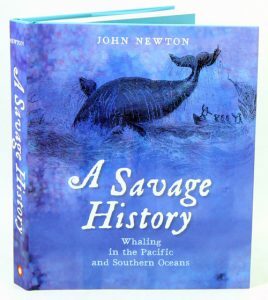 We learn about these highly intelligent and magnificent creatures, and follow the stories of whalers from the eighteenth century who hunted their prey along the coasts of Australia and New Zealand, across the Pacific and into the Southern Ocean. The result is a powerful account of a complex and bloody relationship. Although the modern era has seen the end of industrial whaling, as John Newton shows, the work of those who want to protect whales is far from over. 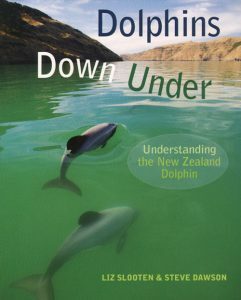 Dolphins down under: understanding the New Zealand dolphin. Artist/Author: Slooten, Liz and Steve Dawson. Also know as Hector’s dolphin, this species is confined to New Zealand waters. The authors’ intensive study covers distribution, behaviour, biology, reproduction and communication, using photography as their principal research tool. Over 100 individual dolphins have been identified and their life events recorded. Reaktion Animal Series. Despite our familiarity with dolphins, many people remain ill-informed about how they evolved, how they function and how they have interacted with humans for millennia. 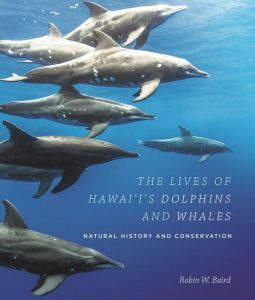 This book dives into the dolphin’s zoology, as well as its social and cultural history, to offer a comprehensive view of these delightful creatures. 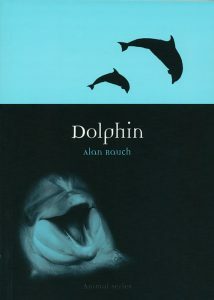 Drawing on his years of experience working with and studying dolphins, Alan Rauch explores their propensity to live in pods and their ability to communicate through a variety of clicks, whistles and other vocalizations. He examines their long relationship with humans, describing how they became the emblem of safe travel and charity, and how they have featured in history and religion. Packed with images and thoughtful insights, Dolphin is a revealing look at one of our favourite sea creatures. Artist/Author: Austin, Bryant and Sylvia A. Earle. Features stunning large format photographs. Photographer and conservationist Bryant Austin had long searched for an impactful way to inspire change in whaling nations. For many years, he searched for a way to photograph whales in the wild that would capture their awe inspiring beauty, grace and intelligence. A chance encounter with a humpback calf and mother finally opened Austin’s eyes and helped him to develop a novel way of producing high resolution, life size photography of these astounding animals. Spending weeks with groups of whales off Tonga, Dominica, and the Great Barrier Reef in Australia, Austin immerses himself in the water for many hours each day, waiting patiently for whales to approach him. He remains motionless, allowing humpback, sperm and minke whales that are sometimes 100 feet in length and weigh as much as 55 tons to come within ten feet of him. This allows him to create detailed, intimate portraits of his subjects. 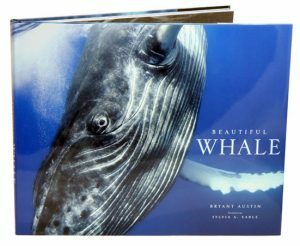 Austin’s first book, presents remarkable close ups of whales, including a special focus on their eyes, as well as full body portraits created by compiling hundreds of images. The book includes a foreword by oceanographer Dr. Sylvia Earle. Artist/Author: Marsh, Helene, Thomas J. O'Shea, and John E. Reynolds. Dugongs and manatees, the only fully aquatic herbivorous mammals, are threatened by multiple global problems. This book provides comparative information on all four surviving species. It presents detailed scientific summaries, covering sirenian feeding biology; reproduction and population dynamics; behavioural ecology; habitat requirements and threats to their continued existence. 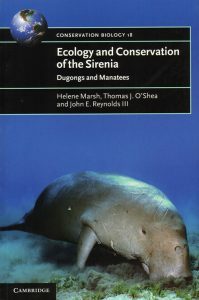 Outlining the current conservation status of the sirenian taxa, this unique study will equip researchers and professionals with the scientific knowledge required to develop proactive, precautionary and achievable strategies to conserve dugongs and manatees. Journalist and biologist Christopher Kemp discovers a hidden world of money, intrigue and amazing wealth. Ambergris is a by-product of sperm whales, used for centuries as a perfume, medicine and aphrodisiac. It appears on beaches all over the world and depending on what state it’s in, can be mistaken for all manner of things. For those in the know, it’s an amazing source of wealth — ambergris trades for US$20 a gram, nearly the price of gold. Christopher Kemp travels from the shores of NZ, to the Smithsonian and New Nedford Whaling museum; he meets amateurs, professional hunters, scientists, elusive vendors who traffic ambergris, people who won’t confess to have found any, and strangers denying what they are looking for. 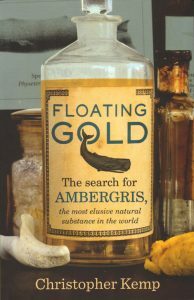 As he discovers more about ambergris’ origins, its uses present day and historic, the outrageous lengths people have gone to find it and the intriguing efforts people go to in order to keep what they know about ambergris a secret, the more his infectious obsession grows. Artist/Author: Gill, Peter and Cecilia Burke. 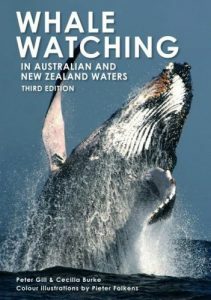 Includes the ecology and behaviour of whales and dolphins; identification notes, accompanied by detailed colour illustrations and location maps for each species; and a comprehensive guide to sites, highlighting the best places to see whales. This new edition includes new species information, conservation status (eg endangered vs safe); species updates, whale-watching site updated (including the Gold Coast). Peter Gill has been involved in whale research since 1983 and is currently studying Blue whale ecology off the coast of Victoria and South Australia. Peter has taken part in whale surveys and sailing expeditions in Australian, South Pacific and Antarctic waters and has worked as a guide on Antarctic tourist expeditions. He is the author of several books about whales and many scientific and magazine articles. Artist/Author: Kraus, Scott D. and Rosalind M. Rolland. In 1980 a group of scientists censusing marine mammals in the Bay of Fundy was astonished at the sight of 25 Right whales. It was, one scientist later recalled, ‘like finding a brontosaurus in the backyard’. Until that time, scientists believed the North Atlantic right whale was extinct or nearly so. The sightings electrified the research community, spurring a quarter century of exploration, which is documented here. The authors present our current knowledge about the biology and plight of Right whales, including their reproduction, feeding, genetics, and endocrinology, as well as fatal run-ins with ships and fishing gear. 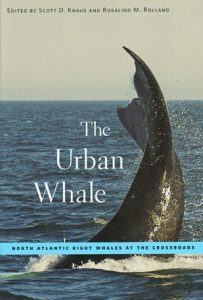 Employing individual identifications, acoustics, and population models, Scott Kraus, Rosalind Rolland, and their colleagues present a vivid history of this animal, from a once commercially hunted commodity to today’s life-threatening challenges of urban waters. Hunted for nearly a millennium, Right whales are now being killed by the ocean commerce that supports our modern way of life. This book offers hope for the eventual salvation of this great whale.